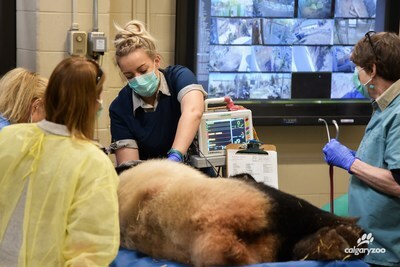 CALGARY, April 3, 2019 /CNW/ - The Calgary Zoo hopes to have introduced more giant pandas back into the world after having artificially inseminated Er Shun yesterday at 12:17 p.m.
Back in mid-March, the Calgary Zoo announced that Er Shun had entered her breeding cycle. 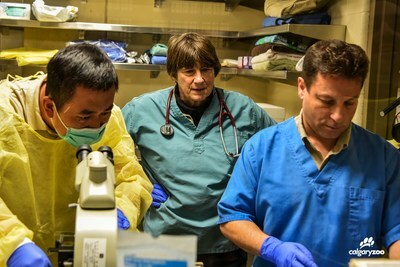 The animal care team has been monitoring her hormone levels ever since and waiting for the precise time to artificially inseminate her with the help of a specialist from China. 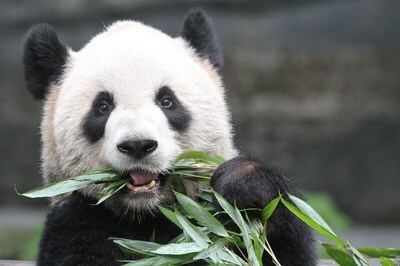 Pandas only ovulate for up to three days out of the year. Calgarians and the world are now on baby panda watch and will have to wait several weeks to know if the procedure worked when confirmed by ultrasound. Er Shun is being cared for in her custom den in the back of Panda Passage, with a comprehensive team ensuring her well-being. When the time is right, she will give birth there. The Calgary Zoo is a conservation organization with facilities, programs and people designed to protect and save vulnerable species through breeding as well as release programs. Giant pandas are an umbrella species and by helping to protect them, other species who inhabit their environment will also be protected. They are a vulnerable species with 1,800 estimated to be in the world. In 2012, an agreement was signed between the Chinese and Canadian governments for a 10-year breeding loan of giant pandas. Er Shun and Da Mao arrived in Canada on March 25, 2013 to the Toronto Zoo. After being successfully artificially inseminated, Er Shun delivered her cubs, Jia Panpan and Jia Yueyue on October 13, 2015. These were the first giant pandas to be born in Canada. Da Mao and Er Shun will remain in Calgary for the full five-years of their stay. The cubs, Jia Panpan and Jia Yueyue will return to China after 18 months since arrival. The Calgary Zoo is a conservation leader whose mission is to take and inspire action to sustain wildlife and wild places. As a not-for-profit charitable institution, a portion of all revenue is reinvested back into conservation activities at the zoo and around the world.